Amidst all the clamor around its high-profile announcements at IFA (you know, the Moto Z Play, Hasselblad MotoMod, Yogas), Lenovo has also thrown in a few affordable mid-rangers. 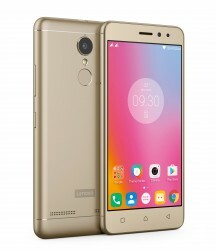 The K6 family (no "Vibe" this time) consists of three models, the plain Lenovo K6, K6 Power, and K6 Note, and they share a lot of the same specs. It all starts with the Snapdragon 430 chipset that powers all three, and that means an octa-core CPU with 4 Cortex-A53 cores clocked up to 1.5GHz, and another 4 capped at 1.2GHz. 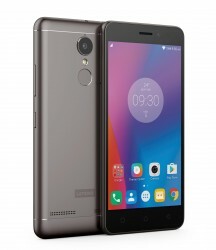 The Lenovo K6 proper has 2GB of RAM and either 16GB or 32GB of storage, the Power comes in 2GB/16GB and 3GB/32GB flavors, while on the K6 Note internal storage is set at 32GB, but RAM is either 3GB or 4GB. All models take microSD cards for storage expansion. The K6 and K6 Power both have 5-inch displays, while the K6 Note is the phablet of the bunch with a screen diagonal of 5.5 inches - all of them FullHD resolution. Battery capacity is 3,000mAh for the K6, the K6 Power's moniker is warranted by a 4,000mAh cell, which is the same amount of juice the K6 Note gets, only in that class it's not as impressive. Camera setup is identical on the K6 and K6 Power as well - they both get a 13MP primary shooter, while the K6 Note takes it up a notch to 16MP, but also adds phase detection autofocus to the others' contrast detection. All models are equipped with an 8MP front-facing camera. The three models have dual-SIM support, LTE connectivity, Wi-Fi b/g/n (no ac), Bluetooth 4.1 and GPS. Each gets a fingerprint sensor on the back, and Dolby Atmos certification. They all boot Android Marshmallow, which may be soon to be replaced, but it's still current. The entire K6 family will be priced in the €150-€230 range in Europe, depending on model and RAM/storage option. The K6 will be available the soonest - in two weeks. You'll need to wait a month for the K6 Power, and the K6 Note should arrive in November. 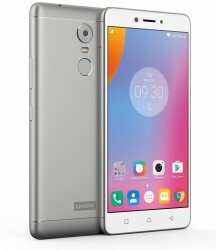 Lenovo has offically announced its K6 series smartphones which is K6,K6 Power and K6 Note. All the phone sports a metal unibody design, gets dual-SIM slots, 4G LTE support, and runs Android 6.0.1 Marshmallow. Good to see Lenovo still using off screen navigation keys.